Bibby Offshore, a subsea services provider to the oil and gas industry, announces the promotion of Allan Nairn to Director of Diving. Nairn joined Bibby Diving Services in 2010 as Offshore Project Manager with over 30 years’ experience in the subsea sector. In his new role, Allan will be responsible for leading all diving related activity within the business. 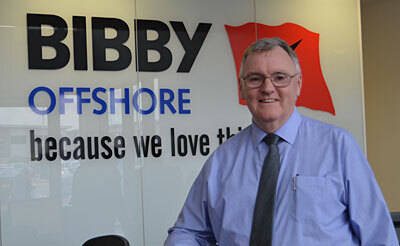 He will ensure day to day diving operations are executed safely, efficiently and continue to meet the high standards Bibby Offshore is known for.